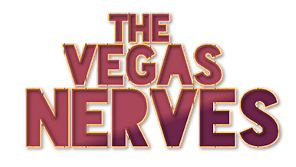 The Vegas Nerves are a four-piece Indie band playing their original music around the less salubrious parts of Sydney NSW. Their songs tell of the alchemy of the everyday and the voodoo within the daily grind. Infusing wit and melody they are not merely saying the first words that come to mind but are attempting to settle scores and look for a few answers in a world that makes less sense as each day passes. Boasting the Latin beats of Alejo, the rhythmic bass of Cameron, the steadfast guitar of Jürgen and the solid words and voice of Stephen, their work has been compared to a consultation from a psychiatrist who may be madder than you are. @the-vegas-nerves Posted new YouTube videos. @the-vegas-nerves Created a new Event.